Poster that I worked on in Eco Silk’s event. 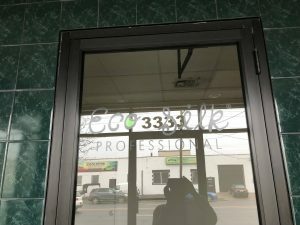 Not too long ago Ecosilk hosted a color event in one of their main salons. I wasn’t able to attend the event, but what happened at the event was described to me along with pictures of the event. I thought it was interesting to see one of the posters I collaborated on in the event, it was kinda surreal seeing it get pictures taken of it. I saw how important it was these posters were since it set the tone for the event and it was one of the first things people got to see before anything else making it vital for creating a good first impression. Overall this event boosted my appreciation for posters and now I see posters having a greater significance in shaping peoples perception of things. 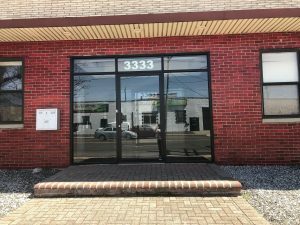 I feel like the area that the company is located in is good for focusing on projects and for being less tense in general. 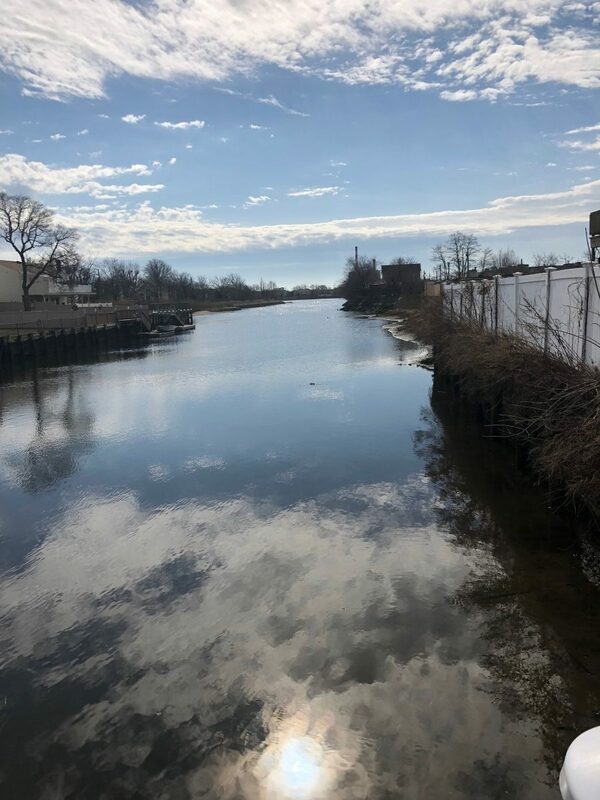 It is by a residential area in long Island and it’s pretty quiet most of the time, which is great if I would like to go on a leisurely walk on my break. One thing I don’t like about the area is that any kind of restaurant is far by foot which means that I always have to bring in lunch to work. In terms of skills I feel like the more I use photoshop in a professional setting, the faster I become with it. I feel like the professional atmosphere pushes me to use the software more efficiently. I also like the fact that new problem I encounter in terms of creating something also pushes me to learn more photoshop in my free time so that when I go back to work I am more prepared. 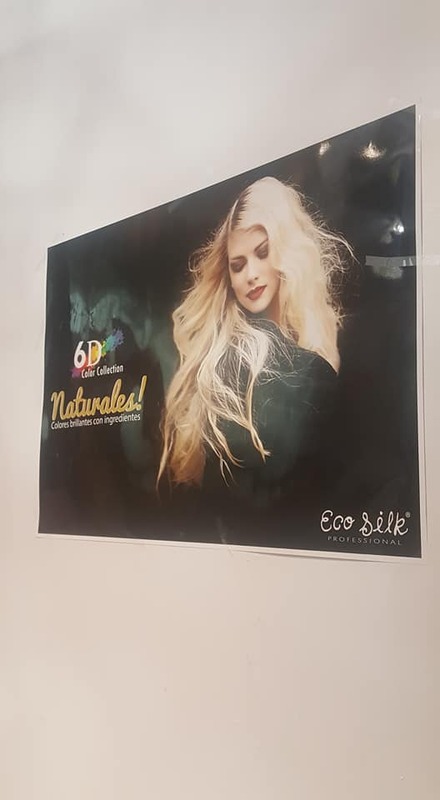 One collaborative project that I worked in was a poster I had to make for ecosilk’s upcoming color show (an event where the company shows off the different ad vibrant hair dyes they have). I worked closely with my supervisor on this project to make the poster and he had a lot more hands-on involvement with the poster. I thought it was interesting to work on a poster with someone else but also I’ve noticed that since its a collaboration any changes one would like to make task a little longer to do since you have to be in constant communication with your partner or partners. One positive side to working on a collaborative project is that its less work overall than if you were to do it by yourself which means that the project overall will be more polished. I think one improvement I would make for myself is to draw more sketches before I go into the computer, I feel like that would saved some time on making the poster. I feel like I did a good job when I was assigned to do the posters for the company. I think I liked that specific assignment the most so far because it was the most familiar thing I did at the job up to this point. I felt like I communicated with others well, and that I stepped out of my comfort zone more in terms of receiving feedback and voicing my opinions on things. I also felt that I was more confident in my abilities since I was working with something familiar which translated to me being less shy of being critiqued. Overall I feel that this internship is constantly allowing me to learn new things that I would be able to use and expand upon later in the future as well as challenging to do better work. In weeks 7-8 of the internship I started to help work on an app that the company wants to launch soon. I was learning how appypie works and was doing image manipulation on the company’s images of their products (like changing the sizes of some of the images, cutting out some of the products, and Improving the look of some of the products). I also helped in adding descriptions to the products on the app and researching things on hair and natural ingredients. This project helped me realized how much thought should one put in when describing a product and how important it is to present your product well with words just like you should present your product well with images. In weeks 3-6 of the internship I learned more of how to use photoshop, specifically how to cut out images better and how to use layer masks more effectively. I am enjoying learning new things about photoshop and I am putting in the effort in learning new things or expanding on what I already know. I feel that working in a professional environment makes you realize how much you know and don’t know. It’s a real eye-opener to see how far you’ve come from your first days in class mixed in at the same time with the realization of how much more you still need to learn. My typical day in the internship is coming to work and being told what I will be doing that day or continuing to work on what I was assigned to do previously. In the first three weeks of the internship I was mainly working on a couple of the posters that the company wanted for an event they were hosting. I didn’t really learn anything new I’m the first three weeks, I was mainly putting what I learned in school to the test. I thought it was nice to see the results of what I studied in class in a professional setting and it helped me really appreciate the basics of design and how versatile it is. The first three weeks straightened my design foundations in the work place. Currently I am not doing clerical duties and mainly doing things related to graphic design (not illustration/animation which is my module). 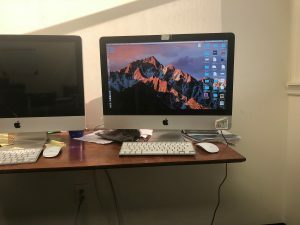 The desk that I work at. The culture of the workplace is mostly casual. The attire of the workplace ranges from casual to business casual depending on the day and the events taking place. I usually dress casually for work. 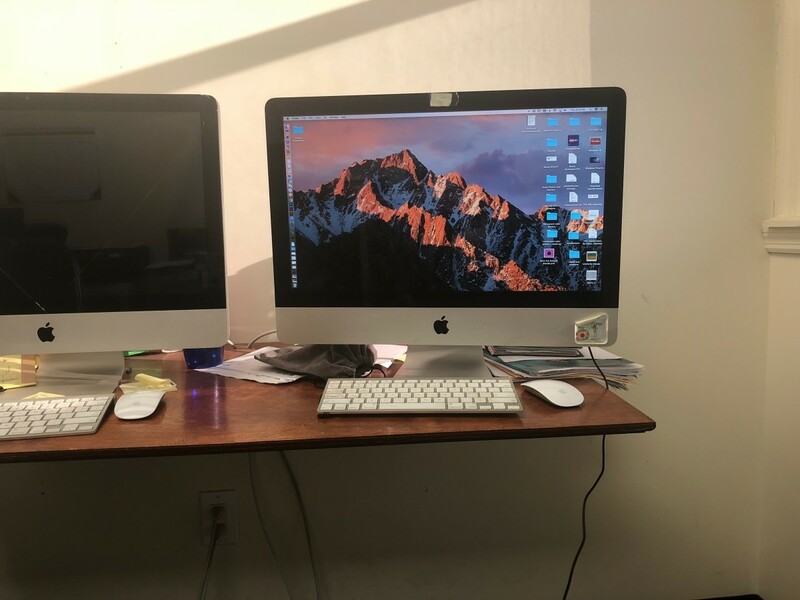 The typical employee work station are open work areas. The standards employee work day is about 10:30am to around 6:30pm. Lunch time is usually around 2:00pm but they don’t mind if you eat throughout the day as long as you get your job done and keep the area clean. How people talk and refer to each other is usually informal but I still tend to address people more formally and tend to talk a little more formally as well. My role in the company is to assist the supervisor in graphic design related tasks. My supervisor name is Paul Cruz and he is one of the co-founders of the company. I selected this internship because it was available and after I called I went to the site and got an in-person interview. I only got interviewed by one person and I got the Job within a day of the interview. Some questions that were asked was what school I went to and what programs I was familiar with. I also showed my portfolio during the interview. 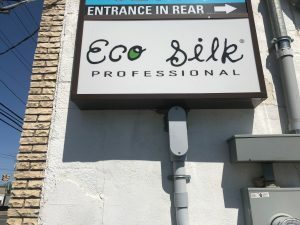 Eco silk is a small start up company with currently one location in Long Island. 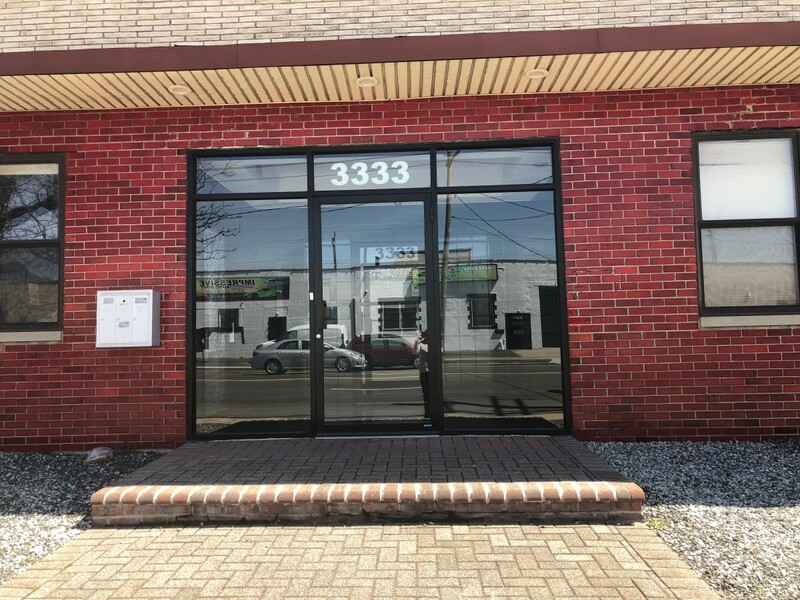 This company’s primary business is selling beauty products, specifically hair products. 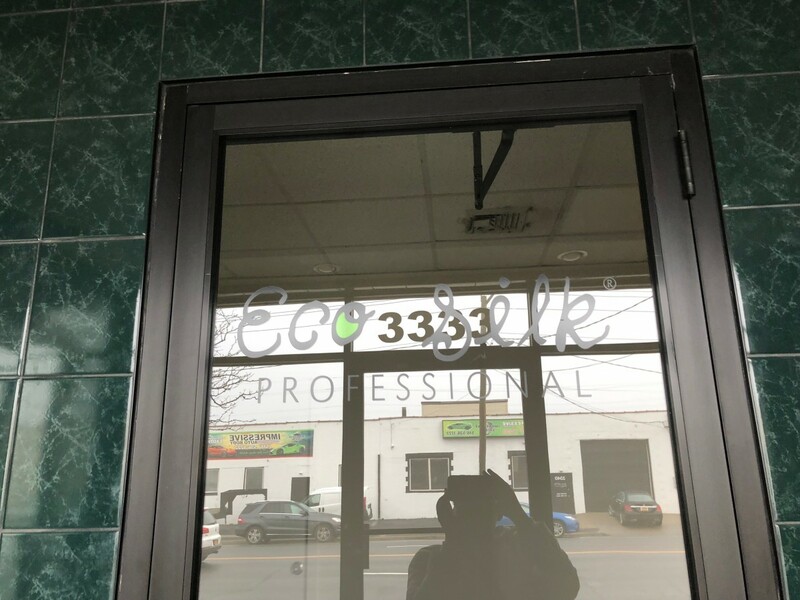 Currently Ecosilk’s clients are hair salons in the 5 boroughs and long island. I work as an in house intern designer. Eco silk is a private company that was founded on November 2014. Eco silk was founded because the founders felt like there was an lack of products for salons that had more than 80% of natural ingredients for different kinds of hair. An important moment for this companies history was when they sold out of the products they had at the time within 6 months of opening. Since the company is still new there isn’t any news articles on it. I am a student with a passion for animation and illustration.